For many parties to international contracts, arbitration has proven to be the most effective means of dispute resolution, yet too many of such contracts still founder on the rocks of defective dispute resolution clauses. This acclaimed book shows practitioners how to steer clear of those all-too-common obstacles by drafting fully-informed, comprehensive contract provisions at the outset. 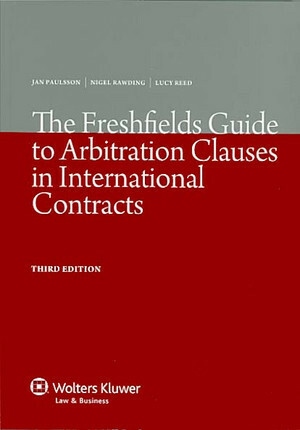 With this new edition The Freshfields Guide to Arbitration Clauses in International Contracts reaffirms itself as the preferred short guide for busy contract negotiators. It will help them to draft provisions that will weather disputes, preserve transactions, and foster long-lasting relationships between parties.